Merced River, Yosemite! Livermore, California wine country! Mary Dodd Park, Pismo Beach! Cheshire Cat Photo: "Your Guide to California's Wonderland!™"
Our Mission: "To showcase California through photography....℠"
Cheshire Cat Photo is a small business aimed at bringing a grin to editors and business people who need stock photos and commercial images of California and to EVERYONE who has visited or dreamed of visiting destinations in the "Golden State". California, with its promises of new opportunities and new beginnings, has attracted people since before the Gold Rush days. The natural beauty of California, from the Sierra to the Pacific, has been a central part of that attraction. California's businesses, from agricultural to high-tech, and California's rich multicultural history, have added to the draw. At Cheshire Cat Photo, we focus on California - its natural beauty, rich history, travel destinations, cities, businesses, and outdoor recreation. Stock and Fine Art digital images - of California destinations, businesses, cities, and people - continue to tell stories of the unique California Wonderland. 1) Wall Art? See our Gallery! 2) Choose image, product, and features! Cheshire Cat Photo has a Mission "To showcase California through photography....℠"
We photograph California's natural places, businesses, people, and much, much more! When you think "California," think Cheshire Cat Photo! Images and photo gifts of California! 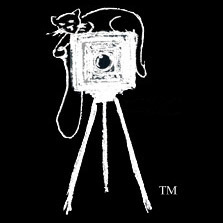 Contact Cheshire Cat Photo to learn what WE can do for YOU! Digital Stock and Fine Art Photography by William F. Hackett, © 2005-2016 William F. Hackett All rights reserved.